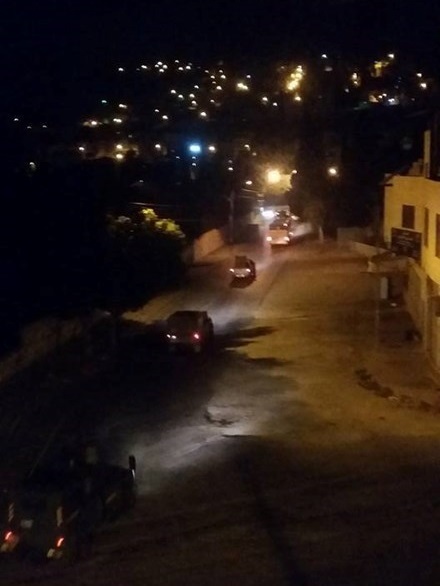 Local sources said that IOF announced the mosque will be closed in the face of Muslims Thursday early morning, until the evening, but will be opened for Israeli Jewish settlers. The mosque is regularly closed down by Israeli forces under the same pretext, but Jewish settlers are given full privilege to break into the mosque whenever desired. IOF set checkpoints on the entrances of the mosque and worshipers are fully inspected on the gates. 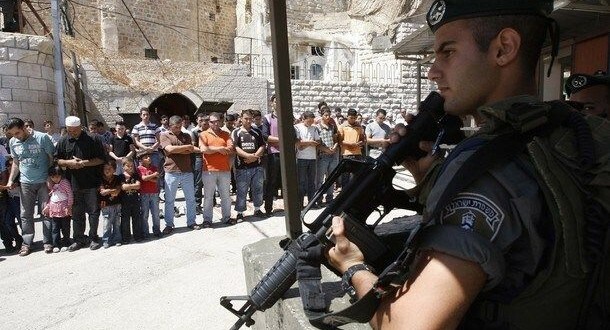 IOF have often prevented the call for prayers (Adan) from the mosque, violating the religious freedom of Muslims. The Israeli minister of army, Moshe Ya’alon on Tuesday morning broke into the mosque “to carry out Jewish prayers” in midst of tight security guardianship. Palestinian security sources told PNN reporter that Ya’alon broke into the mosque heavily guarded, whereas the mosque gates were closed and worshipers were denied entry. 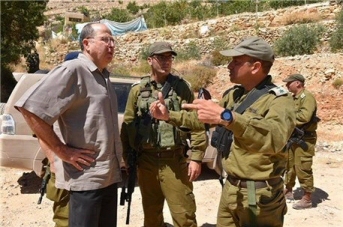 On t he other hand, the Israeli media claimed that Ya’alon’s visit was to “check up” on different areas in Hebron, where he will meet with generals and soldiers, adding that he will also “visit” other areas including the old city and the illegal settlements built in it. The organizations are funding the project together with the Israeli government, Amr said, although his claims could not be verified. 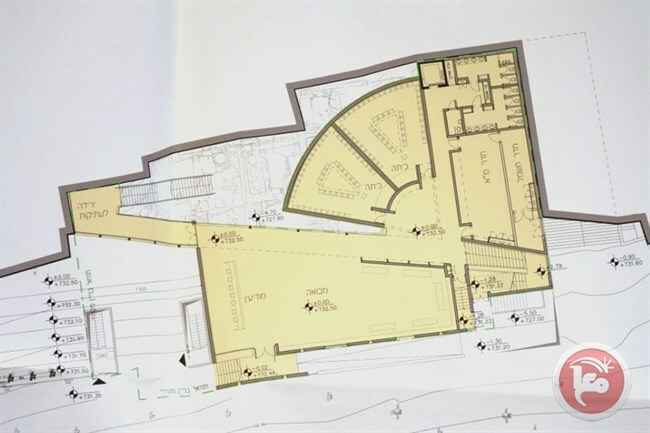 Amr said that the blueprints for the building were prepared in secret and revealed only after those leading the project began the application process for the needed license. Dozens of Palestinian children on Wednesday morning formed human chains to prevent Israeli vandals from desecrating Muslims’ holy al-Aqsa Mosque. According to the Q-Press center, which monitors violations against al-Aqsa, a group of summer campers formed human chains after a horde of fanatic Israelis, escorted by police officers, stormed the Mosque at the early morning hours. Muslim sit-inners, worshipers, and summer campers kept chanting “Allah the Greatest” in protest at the break-in. Over the past three days the Israeli occupation forces have come down heavily on the Muslim summer campers, denying them the right to enter the Mosque to perform their prayers. 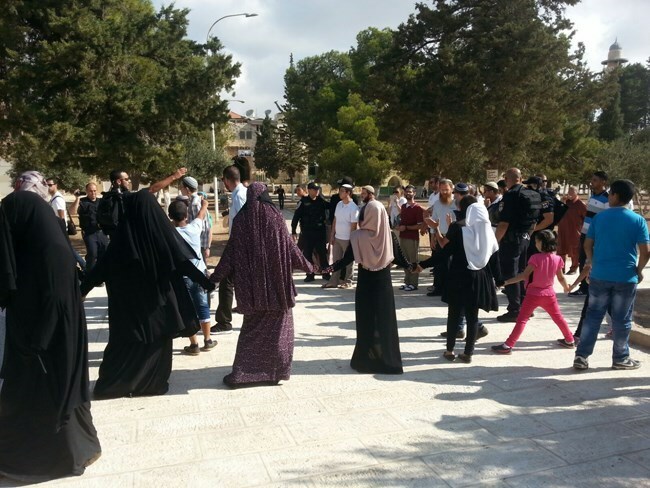 The Israeli police have also prevented a number of peaceful Muslim worshipers, mostly women, from entering the Mosque. The Jordanian Government charged the Israeli government of full responsibility for any offensive practices against the Aqsa Mosque. 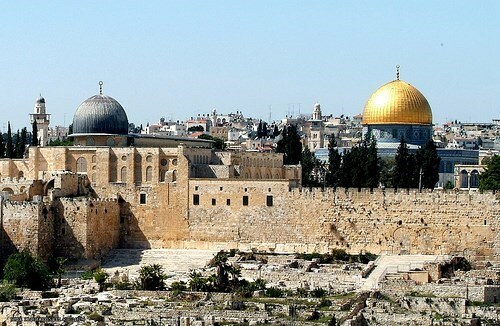 The spokesman of the Jordanian Government and Minister of Media Affairs Mohammad al-Moumni said any attempt to storm the Aqsa Mosque or entering it by Israelis including excavation works are illegal and aggressive actions against Islamic holy places and Muslims’ feelings in general. He stressed that Jordan is exerting every possible effort to maintain and protect Islamic holy sites, referring to the Jordanian patronage over the holy sites and to the agreement signed by King Abdulla the Second and the Palestinian President in this regard. He underlined that the Jordanian commitment in this regard is declared and is not subject to understandings with any party when it comes to discretion of Islamic holy places. He said the guards of the Aqsa Mosque are doing their duties in confronting the Israelis’ incursions into the Mosque and that the Jordanian government is working on increasing their numbers and qualifying them to be able to implement their noble tasks. Israeli police has denied women and children access to al-Aqsa Mosque Compound in East Jerusalem, provoking resentment among the crowds, according to local sources. WAFA correspondence said that a scuffle broke out when the police denied a crowd of women and children access to the Mosque. The worshipers, women and children, chanted religious slogans against the police to show their anger. Police arrested a woman and a minor during the clash. Last month, dozens of worshipers were injured during clashes with Israeli police private units, after they broke into the holy site and severely assaulted worshipers. The clashes saw Israeli police private units throw rubber-coated metal bullets at the defenseless worshipers, which caused tens of suffocation cases by teargas inhalation. In the midst of these attacks on July 29, the Israeli minister of agriculture, Uri Ariel from the Jewish Home right-wing party has provocatively broke into Al-Aqsa Mosque, heavily guarded, in coordination with the ministry of interior. The site has witnessed recurrent clashes in recent years between Muslim worshipers and Israeli police, most frequently due to provocative visits by Jewish extremists who believe the mosque should be destroyed and replaced with a Jewish temple. Israeli Defense Minister Moshe Ya’alon, Tuesday morning, broke into the Ibrahimi Mosque in the Old City of Hebron. WAFA correspondence reported that Ya’alon broke into the mosque under tightened security protection. It was further stated that, in anticipation of Ya’alon’s provocative visit, Israeli forces closed down all of the old market gates leading to the mosque, effectively denying Palestinian Shari‘a Court employees as well as Muslim worshippers access into the mosque. 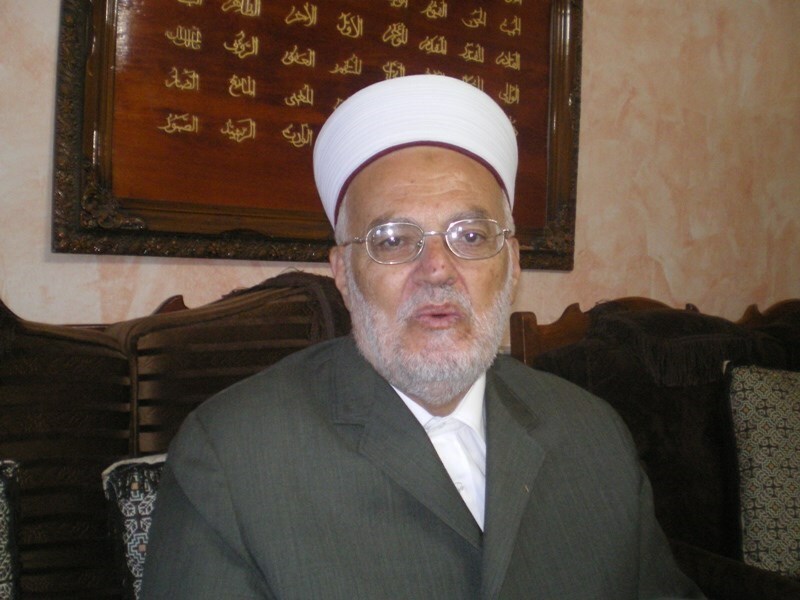 The Mosque caretaker Munther Abu al-Feilat denounced Ya’alon’s act describing it as an attempt to obliterate the Palestinian and Islamic nature of the mosque and the Old City of Hebron. This came after Israeli authorities decided to deny Muslim worshippers access into the mosque while allowing Jewish settlers to force their way into it, from Wednesday 10am to Thursday 10am, purportedly for celebrating the first of September as it applies to the Jewish calendar. In 1994, Israel divided al-Ibrahimi Mosque between Muslims and Jews, after an Israeli settler gunned down 30 Palestinians during dawn prayer. Baruch Goldstein, an extremist settler from the illegal settlement of ‘Kiryat Arba’ settlement, who holds US and Israeli citizenship, opened machine-gun fire at Muslim worshippers during prayer. He killed 29 people and injured 135. On the same day outside the mosque, the Israeli army opened fire towards fearful and panicky worshippers and killed at least ten civilians. 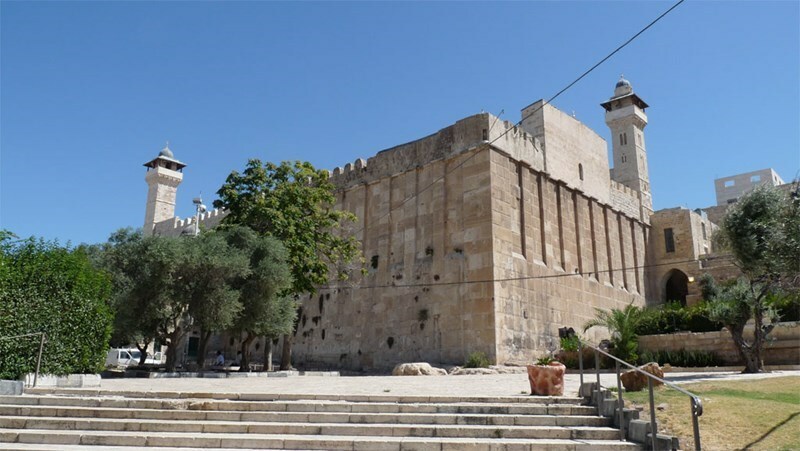 Following the incident, al-Ibrahimi Mosque was converted into a military post and later divided into two parts, one for Muslims and another for Jews. Thus the mosque became a point of conflict and constant tension that has marred its sanctity. Nowadays, Israel controls Palestinians’ access to the mosque, prevents many from praying there on a regular basis and frequently bans the call for prayer under the pretext of disturbing the settlers. The control is not only restricted to prayer at the mosque, but also calls for prayers through speakers. In January 2015 alone, the call for prayer was banned 51 times. The Hebron Awqaf Directorate said that the policy of banning Muslims’ call for prayer is aimed at tightening the noose on Palestinians and stopping them from praying in the mosque, subsequently driven them away from their city. Head of the Supreme Islamic Council Sheikh Ikrema Sabri called Monday for the establishment of a special fund for the purchase of real estate in occupied Jerusalem. His statements came after Israeli authorities allocated $40 million to complete the ongoing Judaization works in al-Sharaf neighborhood in the Old City. Large funds are allocated for intensifying Judaization plans and settlement expansion throughout occupied Palestine and Jerusalem in particular, he said. Sheikh Sabri slammed in this regard the Arab nearly nonexistent financial support for occupied Jerusalem projects. He stressed the importance of the historical significance of al-Sharaf neighborhood that has been targeted by Israeli Judaization schemes. The Israeli occupation authorities (IOA) decided to close the Ibrahimi Mosque, in the West Bank city of al-Khalil, before Muslim worshipers next Wednesday and Thursday under pretext of the advent of Jewish holidays. The Palestinian endowments authority said Monday that the Israeli occupation will close the Ibrahimi Mosque before Muslim worshipers for two days to allow the free access of Jewish settlers into the holy premises on the occasion of the Jewish holidays. The move makes part of a larger judaization plan aimed at wiping out the sacred and Islamic character of the Occupied Palestinian territories and chaining up Muslims’ religious freedom, according to the authority. Since the 1994 massacre of 29 Palestinian worshipers inside the Ibrahimi Mosque by the extremist Jewish settler Baruch Goldstein, the IOA had repeatedly closed the complex off to Muslim worshipers ahead of Jewish holidays. Burials in Mamilla continued until 1948, when forces from the newly declared State of Israel occupied West Jerusalem. A recently opened cafe in West Jerusalem, which is built on a park that Muslims say is the site of an ancient cemetery, is drawing outrage from religious leaders in the Holy City. The Al-Aqsa Association, a group which advocates for protecting the sanctity of the Al-Aqsa Mosque and other holy sites in Jerusalem, released a statement after the cafe opened earlier this month, calling the move part of a "systematic scheme to destroy the landmarks of the cemetery". "This is a sanctified location, a holy place for Muslims, and it's been a cemetery for 1,400 years. It's impossible to treat a holy place like this," Amir al-Khateeb, the director of the organisation, told Al Jazeera. Al Ray further reports that representatives of the Landwar Coffee chain, to which the cafe belongs, were unavailable for comment. Mamilla Cemetery is believed to date back to the seventh century, and it houses the remains of many important figures from the early days of Islam, including companions of the Prophet Mohammed. It is also the resting place of many combatants from the Crusades, both Muslim and Christian. Burials in Mamilla continued until 1948, when forces from the newly declared State of Israel occupied West Jerusalem. In 1986, the Israeli government told the United Nations Education, Scientific and Cultural Organisation (UNESCO) that "no project exists for the deconsecration of the site and that, on the contrary, the site and its tombs are to be safeguarded", in response to a UNESCO investigation of Israel's development projects on Mamilla. However, the current government seems to be taking a different stance. 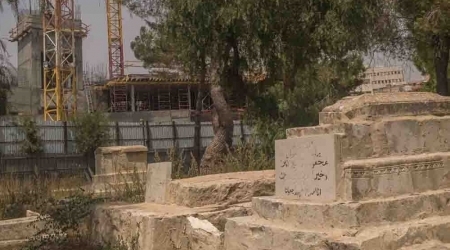 Khateeb asserts that of the 20 hectares of land that belong to the historical location, only two hectares are still visible as part of the cemetery. "They have built a hotel, a garden, a pool, and now the cafe - all on top of graves," Khateeb said. Adding to the Al-Aqsa Association's outrage, the cafe also serves beer and wine, which is forbidden by the majority of Islamic adherents. The Muslim community has been rallying for the continued respect of the site since 1948. But Khateeb said the boiling point came in 2005, when the Los Angeles-based Simon Wiesenthal Center (SWC) announced plans to build a "Museum of Tolerance", set to open in 2017, on top of the cemetery. The museum will aim to combat racism and prejudice by examining historical examples of discrimination, with a strong emphasis on the sufferings of Ashkenazi Jews under Nazi Germany. "Considering the toll [the Museum of Tolerance] has had on our cultural heritage, it is absurd that they would name the museum in such a way," Khateeb said. Since 2010, the Center for Constitutional Rights (CCR), a legal advocacy organisation based in New York that works on issues such as Muslim profiling and Israeli discrimination against Palestinians, has overseen a campaign to protect Mamilla. CCR said the construction of the Museum of Tolerance "has resulted in the disinterment of hundreds of graves, and the whereabouts of the countless human remains that have been disposed of are unknown". In response to an Al-Aqsa Association petition to halt construction of the museum, the Israeli Supreme Court decided in 2008 that the cemetery had been abandoned for decades, thereby losing its sanctity. It also ruled that continued construction could be allowed because the site of the museum had been a car park for nearly 50 years. SWC cites this decision to combat criticism. But CCR and Khateeb disagree. Both say that Mamilla was always important to the Muslim community, and Khateeb maintains they have been protesting against construction on the site for decades, to no avail. Neither SWC nor the Jerusalem municipality were available to comment by press time. Nadim Nashif, the director of the Haifa-based Baladna Association for Arab Youth, told Al Jazeera that the Mamilla Cemetery issue resonates across all sectors of Israel's Palestinian community, who comprise 20 percent of the population. "It doesn't matter where you go in this country, Israel is thoroughly trying to remove the historical evidence of Palestine, and broadly, [all Palestinian citizens of Israel] feel alienated," Nashif said. Baladna endeavours to reinforce the national identity of Palestinian citizens of Israel by educating Palestinian youth on their culture and past. Nashif feels that this work is growing more and more important, as Palestinian structures across present-day Israel continue to be demolished. "The erasure of Palestine has been a tactic of the Israeli government from day one. It holds no respect for history, and what has been happening in the Mamilla Cemetery proves this," Nashif said. Back at the cafe, located near the future Museum of Tolerance and across the road from some of the few gravestones still visible in the cemetery, Israeli patrons flocked on a recent afternoon to partake of the cafe's fare. Many told Al Jazeera they were unaware that they were dining on top of a contentious site. Moshe Levin, a 22-year-old university student enjoying a beer and fried halloumi cheese, said he "didn't know Independence Park was a cemetery. It's always been a park for me". When asked if this information changed his view of the space, he replied: "No, not really. The park is beautiful and if people can enjoy it, I don't see the problem." Meanwhile, Khateeb has vowed to "arrange a demonstration with the relatives of those who are buried in the cemetery, to bring the world's attention to what is happening here". He also plans to send letters of complaint to international and Israeli authorities, which he said are required by their own laws to respect holy sites. The Israeli government has laws in place, including the Protection of Holy Places Law and Section 170 of the Penal Law, which forbid the desecration or demolition of any place held sacred to any religion. Khateeb added that it is not only a legal matter, but one of common decency. "Today, Jewish cemeteries all over the world are well-maintained. If someone defaces even one of the graves, it's a huge matter that is quickly resolved," he said. "We want the Israeli government to treat all holy places - whether Muslim, Christian, or Jewish - as equal." Israeli occupation forces assaulted and injured guards at the Al Aqsa Mosque, Monday morning, at the door of al-Asbat, while detaining one other. 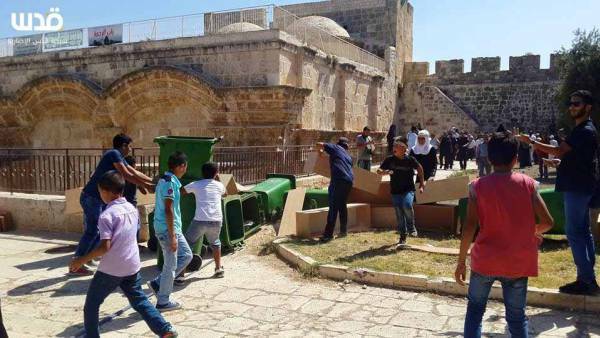 The media coordinator of the Foundation of the Islamic Waqf in Jerusalem, Firas al-Debs, told Al Ray Palestinian Media Agency that Israeli forces pepper-sprayed a group of children and beat them when they tried to enter the mosque to participate in summer camp. Al-Debs added that soldiers beat the guards severely when they tried to protect the children, injuring four of them. He pointed out that guard forces arrested Moayad Hashem after assaulting him, and took him to an unknown destination. He said that around 25 settlers stormed the courtyards of Al-Aqsa in the morning hours, under the protection of Israeli police. Al-Debs explained that worshipers inside the mosque confronted settler incursions with chanting and expelled them outside of the courtyards. Two Palestinian young men at dawn Monday suffered injuries during violent clashes in Nablus city with invading Israeli troops, who were escorting Jewish settlers to the mausoleum of Joseph. 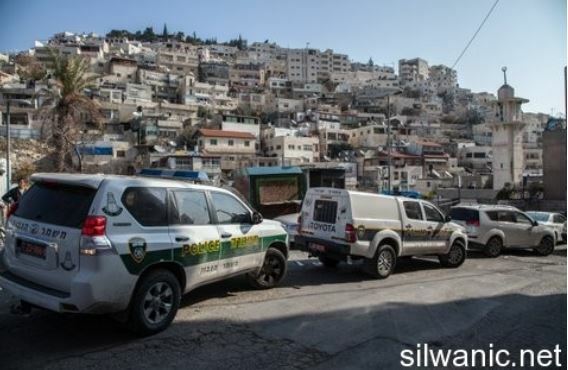 Local sources told the Palestinian Information Center (PIC) that dozens of settlers escorted by a large number of soldiers invaded the city at the pretext of performing rituals in the mausoleum. They added that the unwelcome presence of soldiers and settlers in the eastern part of the city, where the tomb is located, provoked the anger of the local young men, who hurled stones at them. A state of tension and alert prevailed in the vicinity of the Aqsa Mosque on Sunday morning when Jewish activists of the alleged Temple of Solomon’s groups stormed the holy site carrying Israeli flags. This followed settlers' incursions into the Muslims’ holy mosque since the early morning hours under the protection of Israeli police and Special Forces. 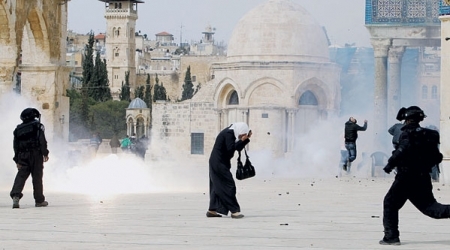 Q-Press Foundation revealed that Muslim worshipers confronted the incursions by chasing settlers with chants of “Allah the Greatest” and pro-Aqsa slogans. Tension ran high when a Jewish settler tried to perform Talmudic rituals inside the Aqsa Mosque compound amid provocative practices by other settlers, Q-Press added. 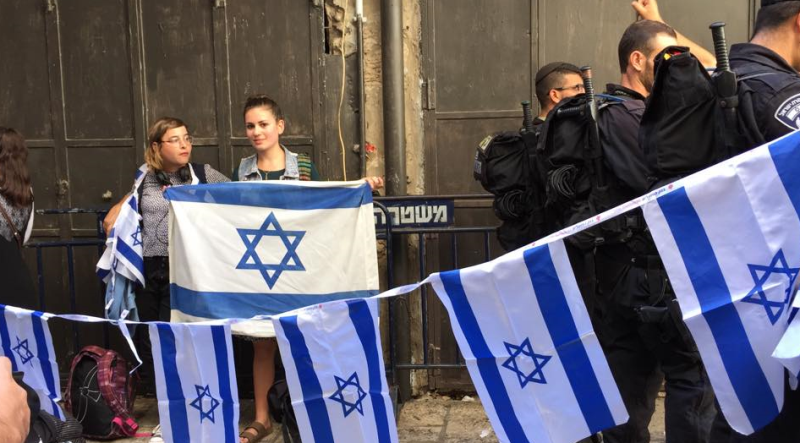 In the vicinity of the Mosque, Jerusalemite deportees out of the Mosque stopped Jewish groups of the alleged Temple of Solomon from trying to raise the Israeli flags over it. Returning to the Mount and Students for the Temple Mount organizations have recently called for a march of Israeli flags to roam the gates of the Aqsa Mosque in a step aiming at showing the Israeli sovereignty over the Mosque as they said. One of the workers at the Aqsa pointed out that the Palestinian presence in the Mosque and the state of alert among its guards prevented settlers from achieving their goal as they raised the Israeli flags outside the gates of the Muslims’ holy site. Israeli police, however, conducted provocative search measures and detained the IDs of women and youths at the various gates of the Aqsa Mosque, local sources said.